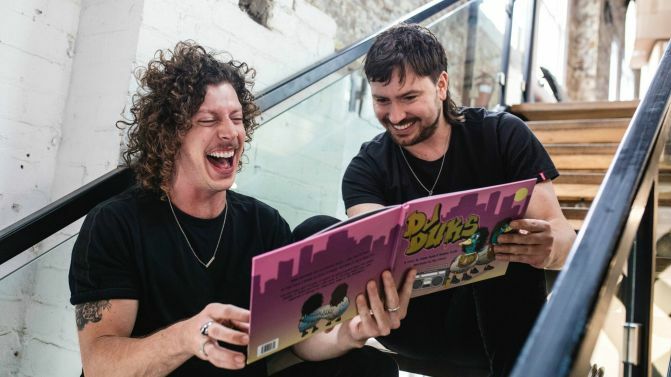 Electronic duo Peking Duk have today announced their literary debut DJ Duks, a children’s book – is there anything they can’t do? 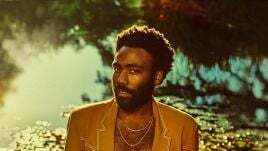 The boys, Reuben Styles and Adam Hyde, are nominated for five ARIA awards this year and have smashed tours both at home and abroad, and now they’re keen to add kids’ authors to their list of achievements. “DJ Duks is a cautionary tale of 2 little ducks named Adam and Roobs with big dreams of fame, fortune and #millionfollowerstatus on Quakker,” explains co-author Reuben Styles. The new book is already available for pre-order and is going to also be available in limited edition ‘Banger Bundles’ and ‘Fuego Bundles’. DJ Duks’ Banger Bundle will include a personally signed book along with Adam and Reuben’s rubber duck set, heapdhones, keyring, and stickers, neatly packaged in a limited-edition box. The Fuego Bundle includes the book with the rubber duck set. 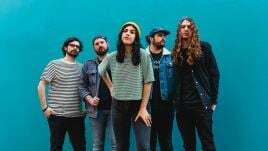 The Peking Duk boys are collaborating with their music publisher, BMG to produce and distribute the book as well as Sydney artist, Alex Lehours, who illustrated DJ Duks. 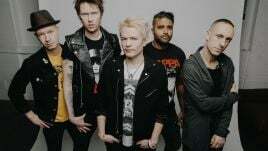 Hyde and Styles joke in a promotional video for the new book, “And why would we be writing a children’s book when we should probably be finishing our already way overdue debut album? Pre-order the new book over at DJ Duks.